In April, the Democratic National Committee, the governing body of the Democratic Party, announced that it was suing WikiLeaks and Julian Assange–along with a number of other defendants, including the Trump campaign and Russian operatives–for their alleged involvement in the theft and dissemination of DNC computer files during the 2016 election. On its surface, the DNC’s argument seems to fly in the face of the Supreme Court’s precedent in Bartnicki v. Vopper that publishers are not responsible for the illegal acts of their sources. It also goes against press freedom precedents going back to the Pentagon Papers and contains arguments that could make it more difficult for reporters to do their jobs or that foreign governments could use against U.S. journalists working abroad, First Amendment experts told CPJ. The case raises a number of important press freedom questions: Where should courts draw the line between source-building and “conspiring”? What activities could implicate a journalist in a source’s illegal behavior? 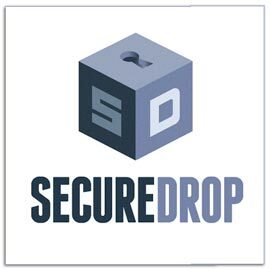 Would putting a SecureDrop link soliciting leaks count as illegal conspiracy? And if a reporter asked for documents on an individual while indicating that they think the person deserves to be exposed, would that count as shared motive, or is the only truly protected activity passively receiving leaks, like radio host Vopper? Marcy Wheeler, an independent national security reporter who has reviewed the DNC complaint, said the legal theory behind it could be applied to other leaks such as the Panama Papers and the Paradise Papers–internal documents that were likely obtained illegally from law firms and financial institutions, and then passed to the press. Similar legal cases have already been brought in Europe. One of the law firms named in the Paradise Papers case sued the BBC and the Guardian, the BBC reported. This is why CPJ has long maintained that WikiLeaks and Assange should not be prosecuted under the Espionage Act for publishing classified documents procured by someone else. WikiLeaks, however, has not always been a responsible steward of its materials. In 2011, the organization released unredacted diplomatic cables that endangered the life of the Ethiopian reporter Argaw Ashine. And in general, WikiLeak’s practice of publicizing large data dumps without probing the context or motivations of leakers can render it vulnerable to manipulation, as CPJ Executive Director Joel Simon has written. Still, as CPJ wrote in a letter to the Obama administration in 2010, arresting Assange would set dangerous precedent for publishers everywhere. The notion that journalistic activity such as cultivating sources and receiving illegally obtained documents could be construed as part of a criminal conspiracy is, according to Goodale, the “greatest threat to press freedom today.” “It will inhibit reporters’ ability to get whistleblower information, because as soon as you talk to them in any aggressive fashion you could be guilty of a crime,” Goodale said. However, Charles Glasser, a professor at NYU’s journalism school who spent over a dozen years as global media counsel for Bloomberg, said that if the charges against Assange and WikiLeaks survived, it could pave the way for companies or others to label everyone–from those who illegally obtain documents to the press–as co-conspirators.